With the outbreak of the American Civil War, Dr. Blackwood enlisted in 1861 as a medical cadet, eventually being mustered in as the assistant surgeon of the 149th Pennsylvania Infantry on September 12, 1862. After being ordered to Washington, D.C., in September 1862 the regiment was attached to the Defenses of the Capital, until it was assigned to the First Corps of the Army of the Potomac in February 1863. Before the start of the Chancellorsville Campaign in April 1863 Dr. Blackwood was promoted to full surgeon, and transferred to the 48th Pennsylvania Infantry Regiment. He would serve with the 48th for the rest of the war, as the regiment was assigned to the Army of the Ohio in 1863 serving in Kentucky, and later to the Army of the Potomac in 1864 during Grant’s Overland and Petersburg Campaigns. During the Siege of Petersburg the 48th proposed and dug the mine that resulted in the Battle of the Crater on June 30, 1864. 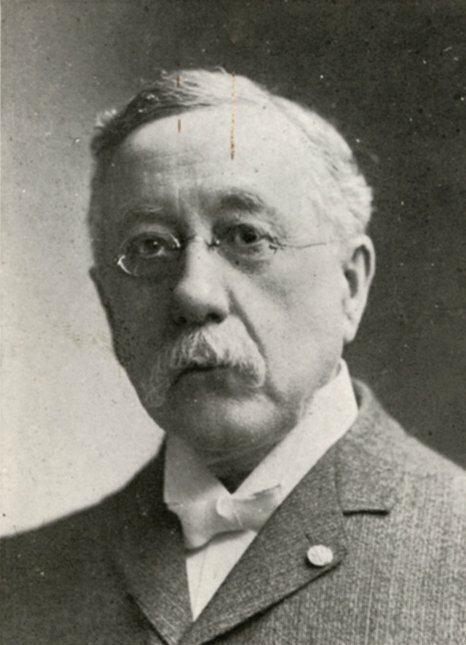 In addition to his medical duties, Dr. Blackwood noted that he was also an “aide-de-camp and volunteer engineer officer” during the construction of the mine. Removed severely wounded officers and soldiers from the field while under a heavy fire from the enemy, exposing himself beyond the call of duty, thus furnishing an example of most distinguished gallantry. Dr. Blackwood was mustered out of service on July 17, 1865, with the rank of Brevet Lt. Colonel. Wounded four times during the Civil War, he stated in 1919 that “one bullet remains in…my right arm for fifty-four years….” Dr. Blackwood’s military service did not end with the Civil War, as he served in the, “… Indian – Franco-Prussian – Spanish-American – India – Mexican-Border (Villa,) – and in the World War in the Council of National Defense.” In private life, he was an active member of the Grand Army of the Republic, and “held the position of Attending Physician and Neurologist in several Hospitals in this city [Philadelphia] and elsewhere.” Dr. Blackwood married Ida Chote Gerhart in 1874, and had four children. He was living in Philadelphia at the time of his death on April 26, 1922, and was buried at Chelten Hills Cemetery.